The large-scale renovation, which will begin just in time for the summer, is geared towards giving climbers a more “authentic” rock climbing experience. The first step is to remove the roof of the building, to allow for freer airflow and true-to-life weather. This will mean that climbers will have to plan accordingly, as a rainy day may make the plastic holds extra slippery, and may lead to “seeping” of water from the walls for a day or two afterwards, especially on the walls that don’t face the sun. The idea is not without some criticism. “If I want to climb when it’s snowing, I come to Peak to stay warm,” says author and longtime member Manson Boze. “I’ve cleaned enough routes in a Virginia downpour. I don’t need to do it inside, too.” Other Peak members have echoed this sentiment, with varying degrees of intensity. Of course, “indoor” won’t really apply to Peak after this renovation. In addition to the roof removal, landscaping companies will come through the gym to plant trees for shade, cultivate smaller shrubs and plant life to keep the soil from eroding, and install several smaller boulders for people to sit on and cheer while their friends go for the big send. Peak Experiences is looking forward to replacing artificial sunlight with actual sunlight. And occasionally hail. Peak Experiences is located a 11421 Polo Circle in Midlothian VA. So in case you hadn’t guessed already, Peak isn’t actually going to do any of those things. (I pitched it to Jay years ago and he told me it was “too expensive” or something.) But I hope everyone reading this is having a great April 1. Speaking of revolutionary, the purpose of this post (other than giving you a good laugh) was to announce that Peak is going to launch its very own blog here at PeakExperiencesRVA.wordpress.com. The purpose of this blog is to give everyone in the Richmond climbing community an opportunity to share stories, thoughts, and goals with each other even when you aren’t at the gym. This project is about you as much as it is about the gym. If there’s something you’d like to see, or read about, or talk about, shoot an email toerin@peakexperiences.com and we’ll try to make it happen! The blog will update at least three times a week, so check back often and tell your friends! 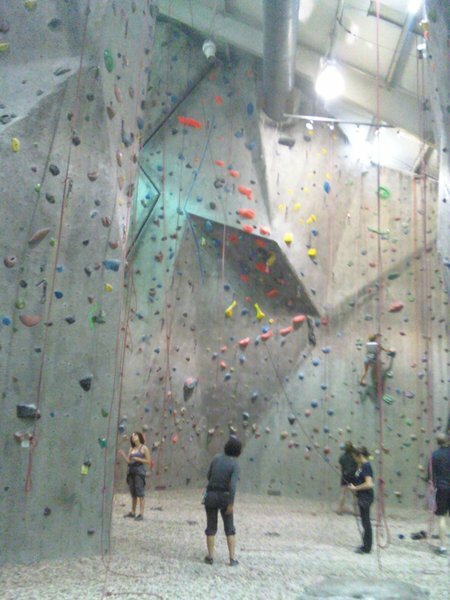 This entry was posted in Announcements, Indoor Climbing. Bookmark the permalink. 2 Responses to Peak Experiences Announcement! This is fantastic! I had to scale back on going to Peak… They stopped running their HVAC and the air quality went down the tubes! They stopped opening the garage door on nice days too… The black boogers and caughing weren’t worth it… Can’t wait!! I hate to break it to you John, but this was just a bit of an April Fool’s prank. Although we didn’t stop running the HVAC, it’s difficult to keep up with all of the chalkdust in the air, and some days are muggier than others. We have been leaving the front doors open on nicer days to try and get some cross breeze going. Come say hi, maybe it’s not as bad as you remember!